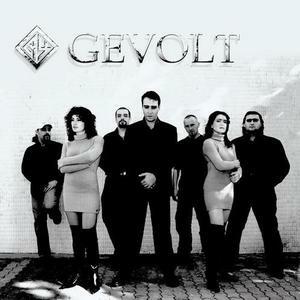 yiddish metal pioneers Gevolt is a metal band formed in Israel in 2001 by Anatholy Bonder(vocals), Yevgeny Kushnir(guitars), Oleg Szumski(drums) and Max Mann(bass guitars). In 2005 Marina Klionski(violins) join the band. In 2006 self-release of a debut full-length album Sidur . 2006 - Oleg Szumski left the band and replaced by Vadim Weinstein and Dmitry Lifshitz(synths) join the band Gevolt started recording of their second album in 2005 and in 2007 - release promo-single "Yiddish Metal" contains 2 tracks. In 2005 Marina Klionski(violins) join the band. In 2006 self-release of a debut full-length album Sidur . Gevolt started recording of their second album in 2005 and in 2007 - release promo-single "Yiddish Metal" contains 2 tracks. 2008 - Sidur released in USA/Canada by Renaissance Records / Koch Entertainment Distribution. 2009 - Yevgeny Kushnir left the band and replaced by Michael Gimmervert. 2010 - Max Mann left the band and replaced by Mark Lekhovitser. to FREE download at their offical website, www.gevolt.com.